In the 1870's those new telephone fandangles were expensive and not a lot of use if no one else you knew had one. The McKie water business was an early adopter, no doubt to accommodate wealthy customers. The first telephone was invented by the Scotsman, Alexander Graham Bell. It had restricted range and required shouting into a variety of not very practical microphones, some even using pools of mercury, to convert sound to an electrical signal. Most microphones, particularly those in phones today, that are based on electret materials, require some kind of electrical amplifier to convert sound waves bouncing off a diaphragm into a useful electrical signal. This was a major handicap prior to the invention of thermionic valves or transistors. What was required was a microphone that would be its own amplifier. Three men had a similar idea: using a small container of granulated carbon as a variable resistor, arranged so that it would change its resistance to current when compressed and decompressed by a diaphragm moving to soundwaves, like the eardrum and associated components in your ear. A patent dispute followed in the US, with Emile Berliner, the inventor of the modern Phonograph (with records we would recognise) claiming priority. This was resolved when the patent for the granular carbon microphone was eventually granted to Thomas Alva Edison in 1877. The Bell Telephone Company quickly acquired the Edison patent in 1879. Suddenly Bell Telephones could make calls the length of England, or even more impressively, transcontinentally across the United States or Australia or Russia. Edison's invention was of incredible importance. So it is this for which he should be most remembered, not the light bulb or the phonograph. The carbon microphone is an unsung but pivotal invention of the late nineteenth century. It was still in use in every telephone handset and telephone box in the world until well into the second half of the 20th century. I've still got one in a box somewhere. The carbon microphone was not fully replaced until the 1980's when smaller microphones requiring semiconductor amplification could be used, mostly after electronics had been incorporated into handsets to facilitate tone-dialling. It was also the basis of the first hearing aids. The carbon microphone allowed the first public address (PA) systems to be built, advancing a new type of political demagogue at mass political rallies. Perhaps equally importantly, the first singers who had not been trained project their voice, could heard throughout a large theatre, setting the stage for radio, movies TV and electronic communications. Imagine a world without microphones. Edison is often credited with the invention of the electric light bulb too - or simply 'electric light'. But this is not so. Thus in 1879 the Newcastle Literary and Philosophical Society’s lecture theatre had been the first public room in the world to be lit by electric light bulbs. This event was to change my family's future and the entire World forever. Eleven months later, on December 31, 1879, in Menlo Park in the US Edison would make his first public demonstration of an incandescent light bulb. It was said that he had developed the idea entirely independently. Who knows, he was a great borrower and improver. His US patent was applied for a full year after Swan's was granted in England. But neither had 'invented' electric light. Sir Humphrey Davy, George Stephenson's nemesis, had invented the electric arc lamp in the early 1800s. Electric arc lamps were already replacing gas limelight, used in live theatres, and are still used for some theatrical purposes. They were used in cinema projectors until the 1990's as well as military searchlights and lighthouses and provided the first practical electric light. As a boy I helped make a little one with a tinplate can as the reflector, using Meccano and pencil leads for electrodes. My father oversaw the project to ensure I didn't blind or electrocute myself. A carbon arc can be exceedingly bright but the lamps continuously consume carbon electrodes and generate a lot of heat. 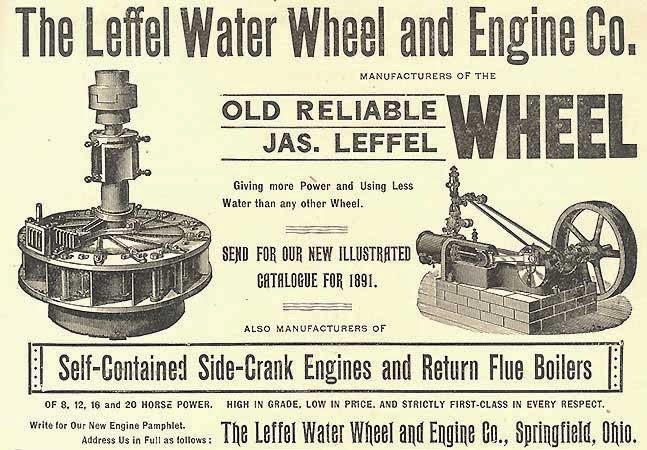 In 1800's they required a large bank of batteries and/or a dedicated dynamo and they are not suitable for continuous use for more than a few hours. It's difficult for us to recapture the marvel of bright electric light. The public was enthralled. Crowds would gather for public demonstrations of lighting. Searchlights can still impress and are sometimes used for movie openings. For example as early as July 1880, Lt. Col Cracknell, Superintendent of Telegraphs for NSW (Australia), publically lit one of the caverns at Jenolan Cave’s with electric light using arc lamps. 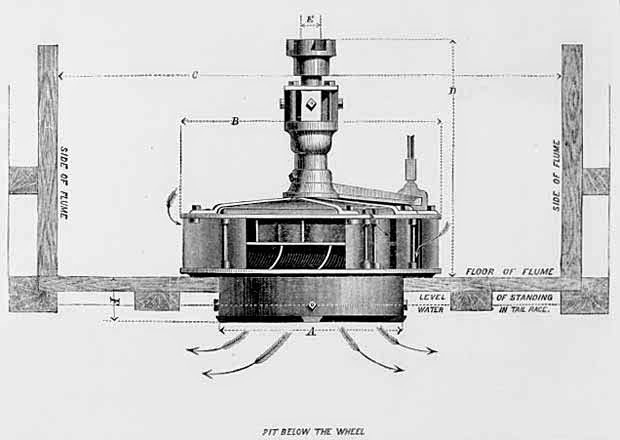 A small dam was then built and a turbo generator, using an American Leffel wheel, was installed to light the caves, in one of the first public electric light installations in the World. You can still see the original plumbing as well as the more modern replacement turbines along the river walk below the dam. The caves of course are spectacular and much loved by the McKies in Australia. People travelled from England, when it took months, just to see them. But arc lamps were poorly matched to domestic lighting. Not only do they consume the electrodes but they also produce ozone that smells and may be harmful; considerable heat; and dangerous ultraviolet radiation. The challenge was to produce an affordable long lasting pollution free electric lamp suitable for continuous domestic use, that was at least as bright and reliable as a contemporary gas mantel. Gas mantles are still used in the gas lamps people take camping. They produce a dimmable bright white light that can be the equivalent of an incandescent bulb of several hundred Watts. Almost every house I've lived in as an adult, including this one, was once lit by gas mantles and I've pulled out the remnants of old gas pipes from three of them. Edison realised that if an electric bulb could be developed, electricity from his direct current (DC) dynamos could be reticulated through cables and sold to a mass market to compete with gas. He was in the process of developing perhaps the World's first commercial research laboratories. This complex, over two blocks in West Orange, New Jersey, included chemistry, physics, and metallurgy laboratories; a machine shop; a pattern shop; a research library; and rooms for experiments. It came to be known as the 'Invention Factory' with dozens, and later, hundreds, of engineers and scientists developing patentable ideas. Edison realised the bankable importance of his reputation as the worlds greatest inventor. Thus the inventions and developments generated by his labs were almost always attributed to him personally. In this he had the financial backing of J. P. Morgan and the members of the Vanderbilt family, in addition to many smaller investors. Whereas Swan was a scientist, for whom invention was a by-product of his curiosity and experimentation, largely backed by his own resources and interests. Wanting to avoid another patent dispute like the one with Berliner over his microphone, Edison signed-up Swan in a joint company to manufacture and market light bulbs and he subsequently used a copy of this 'Ediswan Lamp' in demonstrations of 'his' invention. The world's first commercial manufacture of Ediswan light bulbs began in South Benwell, Newcastle upon Tyne in 1881, just 2 miles (about 3 kilometres) from the McKie Soda Water factory. To differentiate between the bulbs, Edison developed the Edison Screw socket. The unique appearance of the Edison version of the bulb helped reduce confusion in the American public's mind as to who had invented it. The original socket used by both is described in the publication Electric Illumination in 1885: "As in the Swan and Edison systems... When the lamp is dropped into position and rotated to lock the bayonet joint, the heads of its two terminal screws slide over the above-mentioned curved springs... making a good contact, which is rubbed clean every time the lamp is removed or inserted."